Potash is a term generally used to describe potassium chloride (KCl), also called Muriate of Potash or MOP, but it is also a classification that includes more specialty compounds such as Sulfate of Potash (K2SO4), Potassium Nitrate (KNO3) and other mineral ores containing potassium salts which are generally called “potash ores”. By far the largest end use of these potash products is for potash fertilizers, where the K2O content provides potassium (K), one of three essential plant nutrients. Potash fertilizers are inorganic salts produced mostly in dry form with particle sizes ranging from granular to coarse to fine. One of the challenges of potash fertilizer production and use is that the product tends to cake and to undergo crystal breakage during handling which results in undesirable dust. Caking can cause severe safety issues in large bulk warehouses because the caked product may “cliff” and upper portions of a pile may collapse unexpectedly when product is being removed by loaders from the bottom of the pile. It can also create unwanted delays when discharging from bulk vessel holds. Downstream from production, caking problems can also negatively impact bulk blending systems and can cause clogging of application equipment in the field. 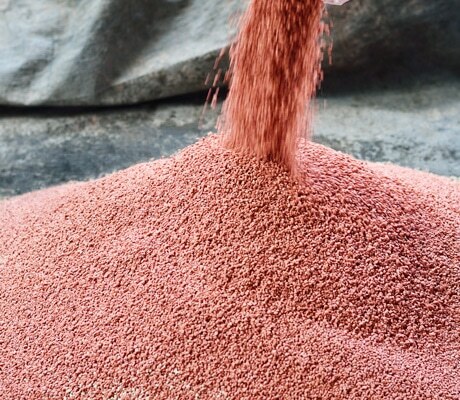 Almost all potash fertilizer is conditioned with anti-caking and anti-dust coatings (sometimes in combination) during production just prior to storage, and frequently are treated again at various stages of transfer. Historically, potash coatings were simple combinations of amines to interrupt the caking process and petroleum oils to control dust. Evolving factors such as agronomic considerations, regulatory requirements such as REACH in Europe and sustainability initiatives have led to a need for more sophistication and adaptability in the technologies used in potash coatings. ArrMaz’s DUSTROL® and GALORYL® product lines include state of the art anti-caking and dust control coating technologies which can be made compatible with a potash fertilizer producer’s operating conditions as well as the downstream requirements of their customers, distribution networks and final end-users. Additionally, ArrMaz provides potash fertilizer coating and application system consultations for any point in the supply chain where additional treatment may be needed. 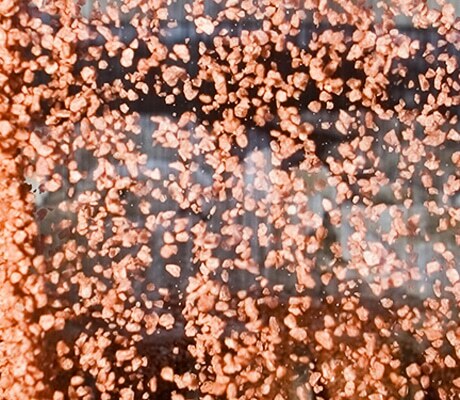 ArrMaz’s granulation aids improve the physical integrity of granular potash, making granules stronger, harder and more attrition resistant. 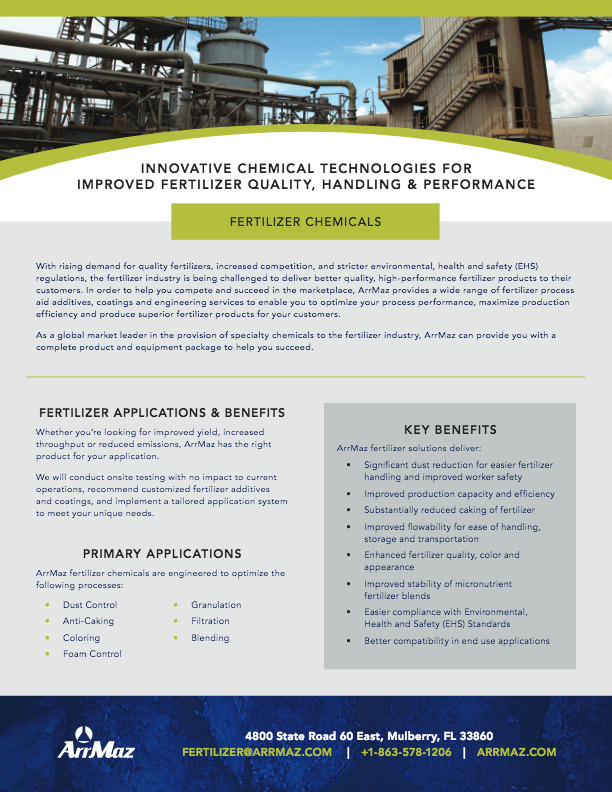 When a particular potash fertilizer is intended to be used in liquid fertilizer systems, ArrMaz can also supply water soluble coatings which will not interfere with the production of solutions or suspensions or their eventual use in drip irrigation and other liquid applications in the field.